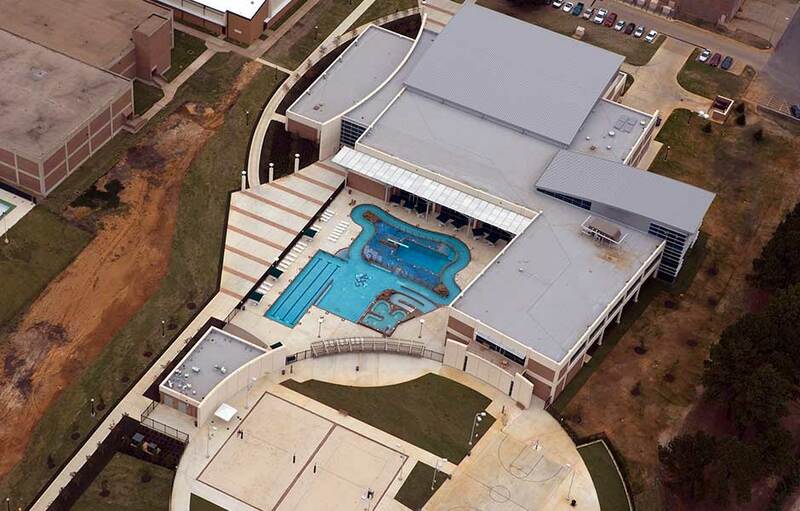 Stephen F. Austin University in Nacogdoches, Texas had an old, traditional pool that was not attractive to current or prospective students. 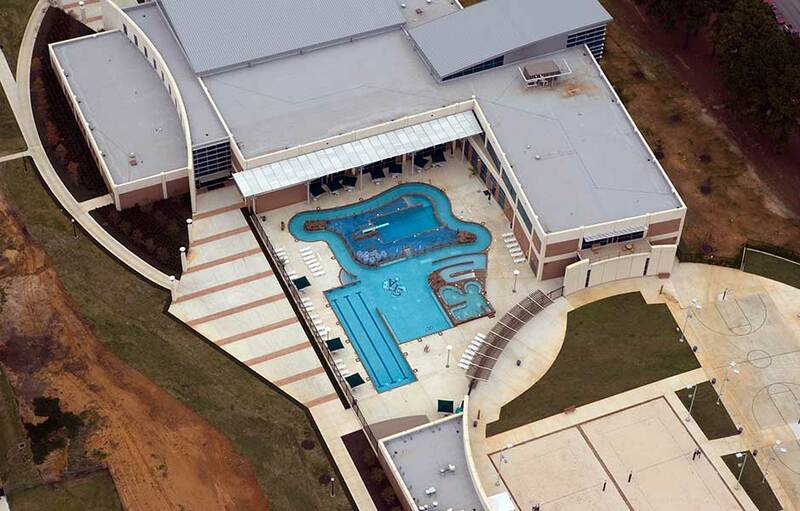 As part of a new student activity center, a new pool complex was designed that includes all of the amenities needed to attract modern students. 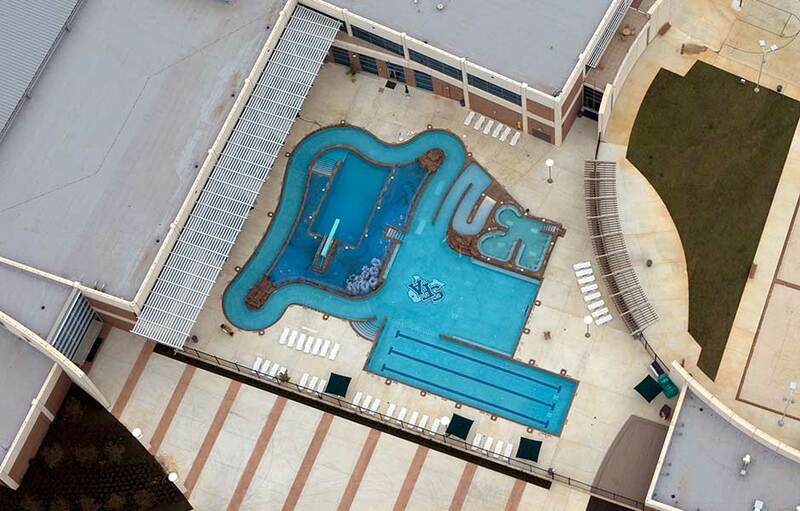 The pool complex features a lazy river that surrounds a deep diving pool. The diving pool has a rubber surfaced deck with spraying deck jets. There is also an area for lap swimming and water volleyball. 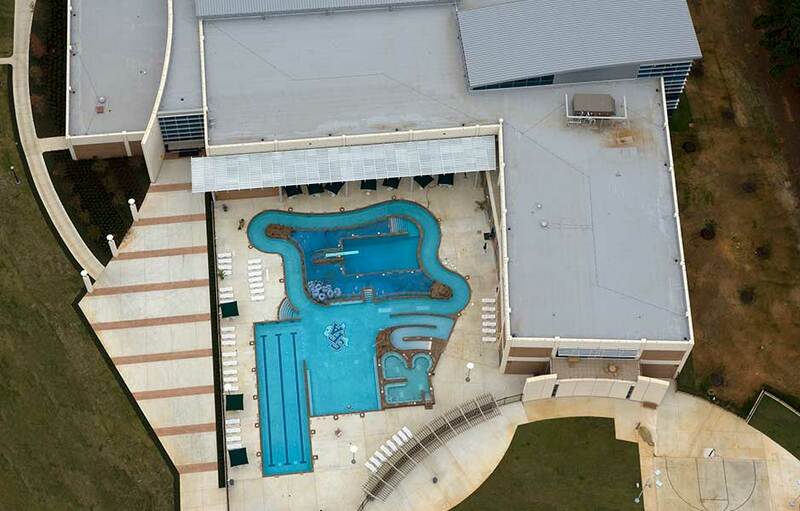 The complex also features a huge hot tub that can seat over 20 students.